The advanced LED Lights are woven into the mask allowing the mask to be more durable and longer lasting. 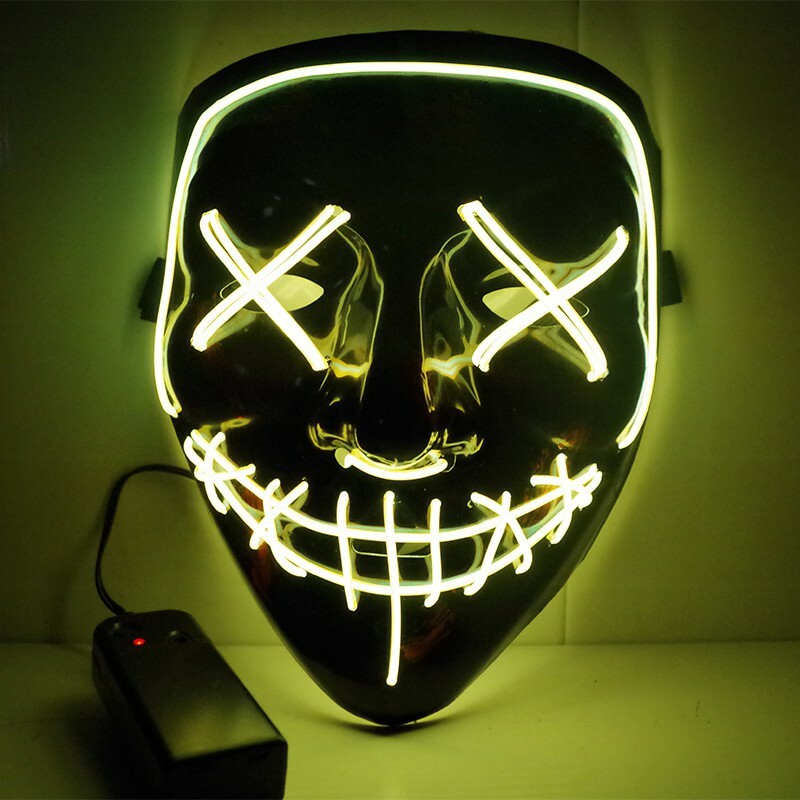 Own the spotlight and amaze everyone at the party with this LED Purge Mask! This terrifying Purge Mask is sure to create a mysterious & festive atmosphere at any occasion, just like in the movie. The ergonomic design makes this Purge Mask comfortable to wear for a long time, while the LED cold light has no adverse effects to the eyes. Just clip the power pack into your pocket and control the LED mode setting... and get your Purge on! You will surely stand out in the crowed when you wear this eye-catching, crowd pleasing Purge Mask for any occasion, party, cosplay, clubs, festivals, events, holidays and more. Get one for yourself or get more for your crew and GET YOUR PURGE ON! Glowing EL Wire is woven into the mask. This Purge Mask is made of durable PVC and has no UV harm and no adverse effects to your body. Inside this Purge Mask is foam cushion to make it comfortable to wear. 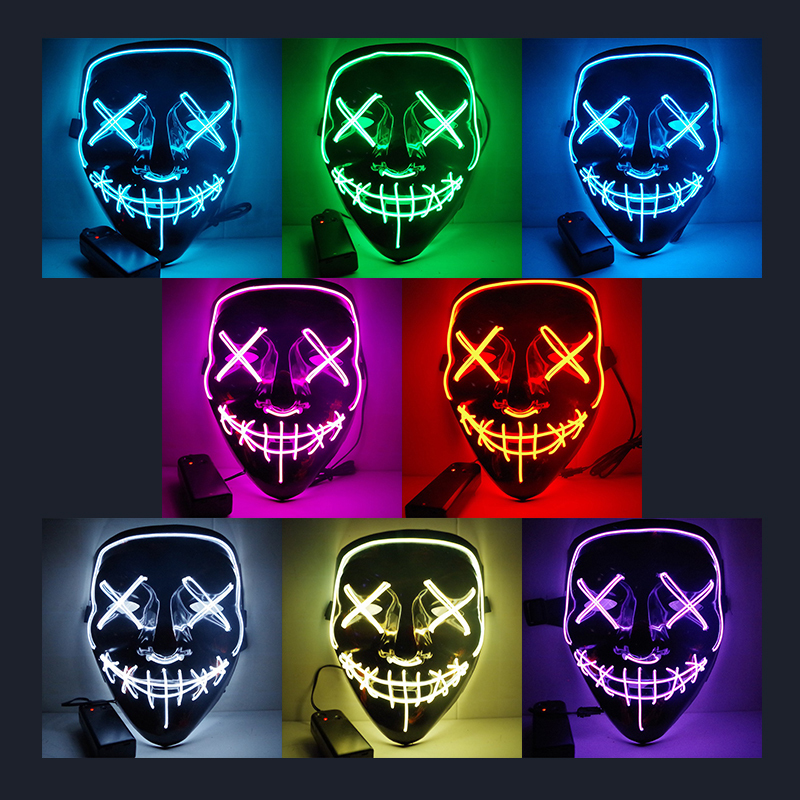 The Purge Mask has 4 LED light settings: Steady Light, Slow Flash, Fast Flash and Off. The soft light will not produce eye tension or fatigue. Como a descrição e trabalho perfitamente. A entrega super rápida, chegou 19 dias. WOW this is a nice mask. Arrived quick and works just as described.